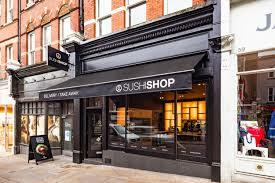 On the former site of where Starbucks used to hang its hat, the rapidly growing sushi chain, Sushi Shop has opened its doors in NW3, well on Hampstead High Street to be precise. And what a great location for such an international brand. 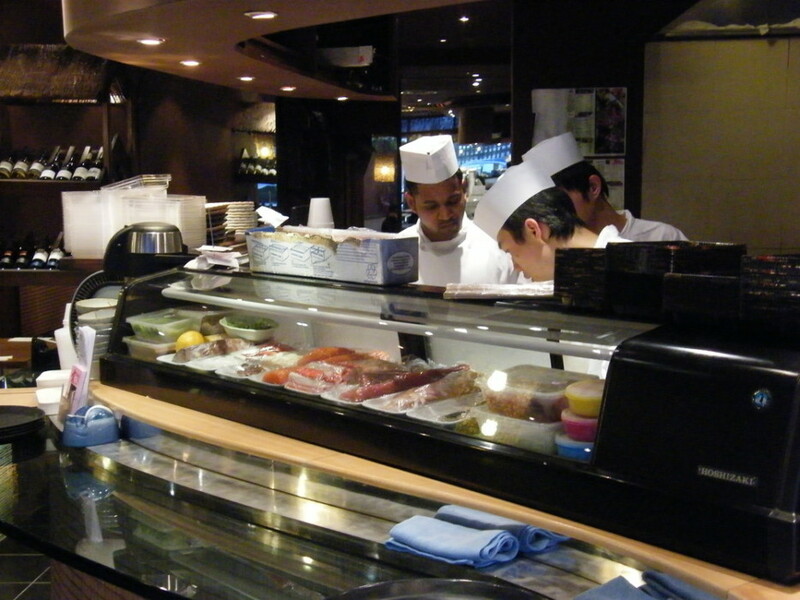 We say international, well, because it’s a French brand that serves up fabulous Japanese/Californian fusion food. And it’s not an overnight success you know. The group was founded in 1998 by two Frenchmen and actually has 130+ shops worldwide. This one is their 4th UK site. Marylebone, South Ken and Notting Hill are where its sister stores are located and it’s no coincidence that these locations are all ‘on the right side of the tracks’, shall we say. It really is a very cool brand and the design and aesthetic of the slick, black boxes match just how their brand is supposed to look. And what you will find inside the boxes is just as impressive. 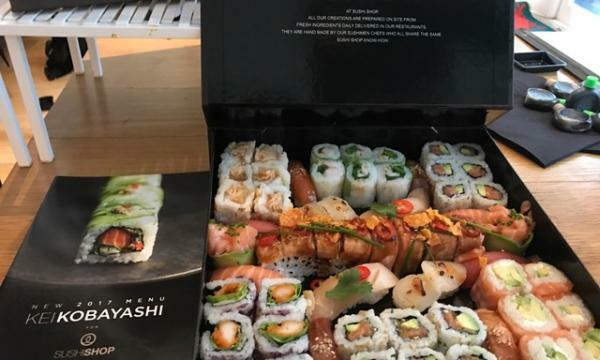 Their new menu, available from January 2018, includes, everything from a fresh Goat’s cheese, matcha green tea and bergamot California roll to a Yellow tail, sage & lemon balm pesto, smoked tea sushi – as well as the traditional Philadelphia maki roll, Salmon teriyaki sushi and Salmon avocado rolls for you sushi purists out there. The new menu itself has been created in collaboration with the fabulous Anne-Sophie Pic, the only female French chef to have three Michelin stars no less. She hails from a family of three generations of chefs and her skills are self-taught – her cooking style is daring and creative, and the Sushi Shop 2018 Edition menu will also be launched in her restaurant in Paris, La Dame de Pic. They really all about the cool and funky collaborations. The Limited Edition boxes, have included Chef partnerships with the likes of Joel Robuchon and Kei Kobayashi whilst creative get togethers have involved Kenzo and Kate Moss.